My father has been diagnosed with liver cancer (Multiple lesions in the cirrhotic liver). Doctors said it is possible to cure by liver transplantation. They said it has to be done within 30 days. He has undergone several procedures till date. 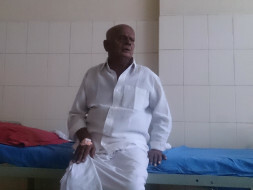 The hospitalization charges came up to 4 lakhs. My brother is willing to donate his liver (he has same blood group ). 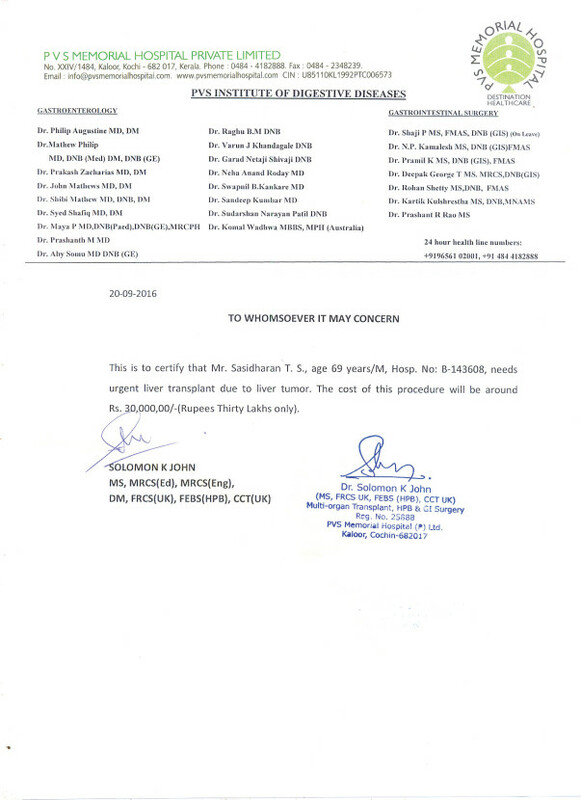 But the surgery for liver transplantation costs 30 lakhs . We are trying to raise money as much as possible bu been barely successful. As his son, I want to do my best to give him the best care. I just completed my graduation this year so do not have fixed income. Request you to please come forward to help me save my father. Because of lack of money the surgery date has been pushed and now the situation is getting worse. The doctors told me that they cannot push it any further. Please contribute to support now.